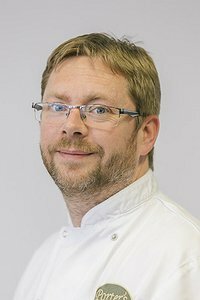 With 25 years of experience in the business, Mark considers himself married to the catering industry. Throughout a career spanning large corporates and small independent businesses, Mark has nurtured a passion for excellence in customer service. His focus is now firmly on the successful development of CAIS Social Enterprises and it's Porter's Coffee Shop brand. Mark says he enjoys the challenges of working with such a diverse company — and the fact that every day is different!